Albino animals are quite famous for their particular pigmentation, or lack thereof. Having that in mind, it’s not surprising that the moment a rare albino whale was spotted in Australia everyone turned their heads. Not only is the animal beautiful in its own right, but there is speculation that this whale is not a random humpback whale. 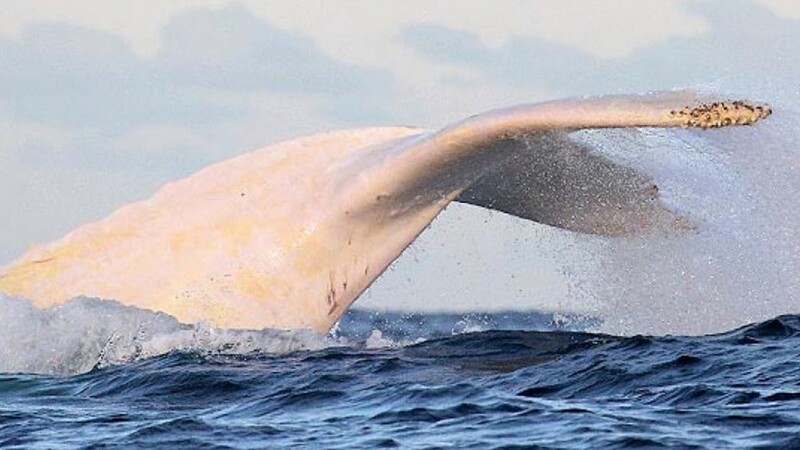 According to some researchers the albino whale spotted of the Gold Coast is actually a well known ‘celebrity‘ whale known as Migaloo. First spotted in 1991 on the Australian coast, Migaloo become infamous in the whale watching community, because of his rare albinism condition. Known as the only albino humpback, he has been seen almost every year until 2013, when he started migrating north with another white whale. “Migaloo is likely to be spotted less frequently off the Queensland coast as he matures and swims further offshore,” a marine life specialist has said in previous years. The sighting of this Albino Whale made everyone go wild and spreading the rumor that Migaloo is back. However, specialists suggest that this might be a sibling of Migaloo, because of the whale’s shorter size, thus the rare animal is dubbed “Son of Migaloo,” by experts. 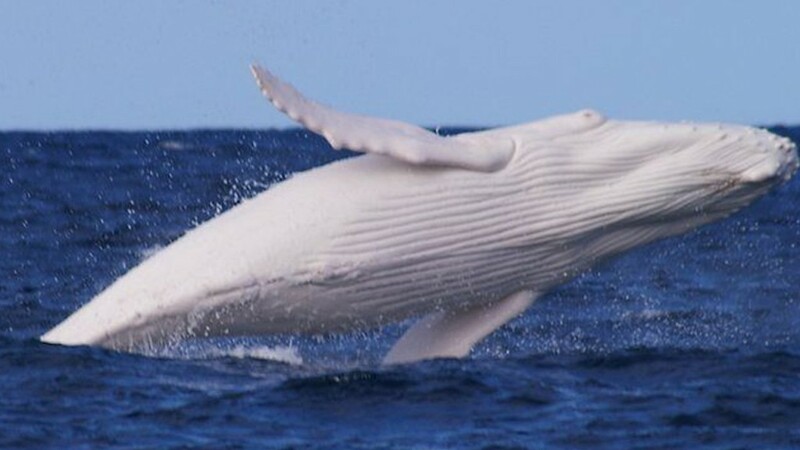 Whether or not this is Migaloo himself or another younger albino whale, the truth is this animal is truly majestic in its uniqueness.